Having the advantages of the non-stick and heat resistance of PTFE resins and the exceptional strength and dimensional stability of our glass fabrics, our PTFE oven Mat are a time saver, a drip blocker, a crumb gatherer and a spill protector. Just place our oven liner on the bottom of the oven to protect it against splashes, messy drips, fats, burnt-on sugar, burnt-on juices and burnt-on messes, and no need to clean the bottom of your oven again. 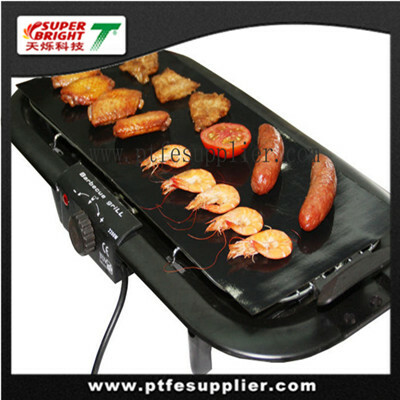 Our PTFE oven Mat can be used in any type ofelectric ovens, gas ovens, grilling ovens and microwave ovens.